Tag, you’re hit! M9 Laser Skirmish is high-intensity fun for the whole family. Want to feel like you are playing a real-life video game? Make M9 Laser Skirmish your next outing. Perfect for office celebrations, family get-togethers, kids parties and kids at heart, this interactive game is fun for the whole family. Boasting the largest arena area in Sydney, a game at the M9 Laser Skirmish, Darling Harbour will transport you to another world. 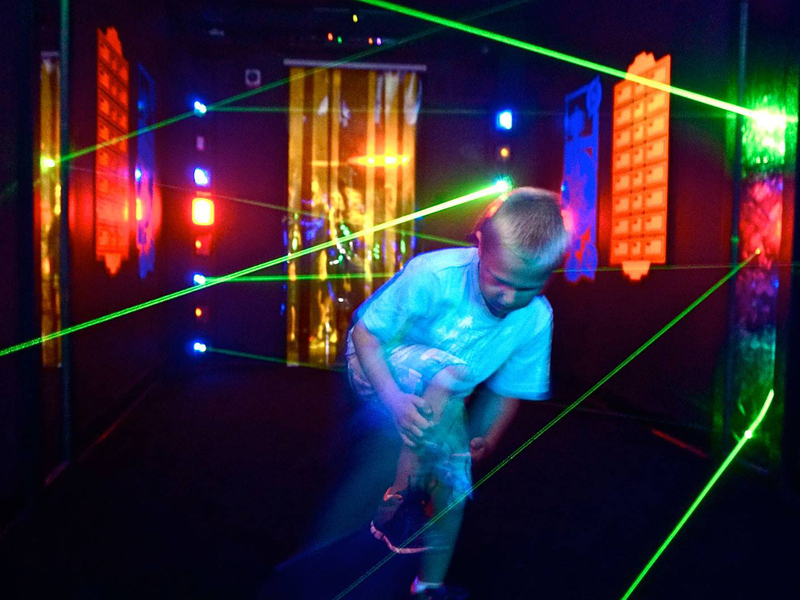 You’ll enjoy the newest laser tag technology as you try to defeat the opposing army. The goal? Make the most points by shooting your opponents with your safe laser gun and don’t forget to capture their base! Trust us, this game will work up an appetite! Make sure you book a table at one of the fabulous Cockle Bay Wharf restaurants or bars for afterwards. First round on the winners?